The reformation in England began with Henry VIII's establishment of the Church of England. During the century after the reformation, many 'dissenting' religious groups were formed, one of which was the Baptists. The first Hitchin Baptist was probably Henry Denne, who was the vicar of Pirton. Denne had been appointed as a lecturer at the Hitchin Parish church in 1642, but he used his lectures mostly to denounce the practice of infant baptism. When forced to resign, he led away with him many of the people he had won over by his eloquence  a group punningly referred to by the traditionalists as his "Denne of thieves". Excommunicated from the Church, he continued to preach wherever he could, and when thrown into prison in 1664 for baptising some adults, he then set about converting his fellow prisoners! Following the Coventicle Act of 1664, many people were persecuted for their refusal to conform to the practices and doctrines of the established Church, and many Nonconformists were fined or imprisoned for such offences as opening their houses for dissenting meetings. The existence of a Baptist church in Hitchin owes a great deal to the preaching ministry of John Bunyan (pictured), who was born in 1628 and who frequently visited the area around Hitchin from his home in Bedford. In 1665, when the great plague swept through London, many people fled to Hitchin. This only helped to spread the disease, and in one month 30 people died from it in the town. The followers	of Bunyan were among the people who risked their lives tending the sick. Bunyan had close friends nearby, in particular the Foster family who farmed at Preston and who cared for him at various times in his life. A small	congregation met as a result of his preaching, often in secret in such places as Wain Wood. The night was bitterly cold, with an icy wind that held a threat of snow. It was a time, surely, for all good law-abiding people, exhausted by the day's toil, to stay fast asleep in bed. Yet in Hitchin and the villages for miles around many of them were astir, stealing from their homes in ones and twos under cover of darkness. They dared not carry a lighted lantern and they spoke but rarely, muttering under their breath when words were needed. For they were bent upon business which demanded secrecy and silence, and their solemn faces showed what high importance they attached to it. As they hurried on towards their goal, they met groups of men and women streaming in from all directions. All were keyed up to a state of tense expectancy and their hearts were beating fast in hope and apprehension. For earlier in the day news had spread by word of mouth among them that John Bunyan, their self-appointed minister, would come that very night to meet them. People had assembled in their hundreds to greet him, and, huddled close together, were waiting eagerly to hear him preach, and to join with him in worshipping God in a form of service of which their consciences approved. In 1664 these services had been declared illegal and all knew full well the penalty for their deliberate defiance of the law. So they had pressed on to Wain Wood, which lies above the road leading from Hitchin to the tiny village of Preston. This wood has a natural amphitheatre still known locally as "Bunyan's Dell" which provided a secluded and reasonably safe auditorium for their purpose. Because of all the secrecy, no-one is quite sure when our church was founded, but the earliest minute in the Church Book is dated 18th March 1669, so the church was certainly already established by then. In 1677, Bunyan sent his friend John Wilson to be the first pastor of the church. Both Bunyan and Wilson spent many years in prison, Bunyan in Bedford Prison and Wilson in Hertford Gaol for nearly seven years, for his refusal to take the oath of allegiance to the Church of England. 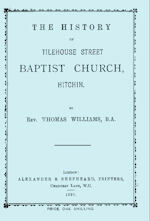 The Church being meet together at Hitching at Brother Thomas Ffeild's house and so fully that very ffew was absent did then renew thear Covenant to the Lord and one to another with ffasting and prayer, non contradicting but by silence and lifting up thear hands declared thear fixedness and heartynes thearin. And also doe agree and promise the Lord assisting to ffollow after the things which make ffor peace and things whearwith one may edify another: that so livving and walking in Love and peace, the God of Love and peace may be with us. Amen. To which we had ye Amen (or universall consent) of all. and by more than thirty members. 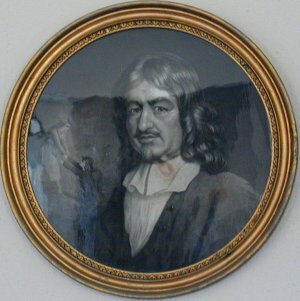 One may note that the second signatory to the covenant, John Foster, was	the eldest of the six Foster brothers, who nourished John Wilson in prison and whose house and farm were	frequent refuges for John Bunyan himself. Deliverance from persecution came with the accession to the throne of a	Protestant king, and when in 1689 the Toleration Act, granting freedom of	worship, was passed, the church decided to build a suitable meeting house for	worship. 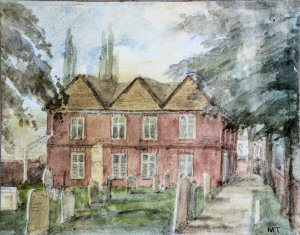 A field in Wratten Road, known as Dovehouse Close, was purchased for	the purpose, and the chapel, which stood behind and to the left of the present building (on the site now occupied by Robert Tebbutt Court), was erected in 1692 and served as a place of worship for over 150 years. Church members gave not only money but labour and materials, and amongst the subscribers towards the £207 raised was Agnes Beaumont, later buried in our grounds, who suffered slander and persecution for her loyalty to John Bunyan. Under John Needham, the second minister, 175 members were added to the	church roll, and during the pastorate of his successor, Samuel James, the	Meeting House was enlarged, as another 195 members had joined the church. Our fourth pastor, John Geard, was called from Bristol Academy in 1775	and ministered to the flock at the "Salem Baptist Chapel", as it was then	known, for no less than 55 years, and it is recorded that he was never ill for	a single Sunday. Retiring at the age of 81, he lived to enjoy seven further	years "clear in mind, unclouded in faith". He was not only a great minister but a man whose moral stature made him a natural leader in the town in ceremonial	and secular as well as religious matters. His ministry covered the Napoleonic	era and he often called his people to prayer and fasting in times of national	emergency. It was under John Geard that the Sunday School was founded by his	sister-in-law, Ann Bradley on 24th May 1812. In all, the first four pastorates covered the astonishing period of 154 years! In 1841, the church called John Broad as minister. He gave up a business yielding him £700 a year to receive a stipend of £80! Under his 16	years' ministry, the church grew mightily. 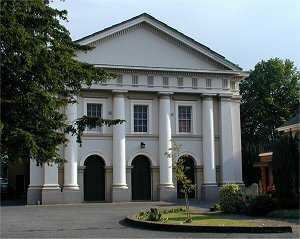 By now, the congregation had	outgrown the old Meeting House, and so it was replaced by the present building,	which opened for worship at 7 a.m. on 28th June 1844 and cost £2,308 0s	10½d. In 1869, during the ministry of John Aldis, six members were set apart	to form a daughter church in Walsworth Road. The Memorial Halls at Tilehouse Street were built at a cost of £5,000, commemorating those who died in World War I, and were opened on	4th March 1925. The church has been responsible for the formation of three village	churches: Preston (which is now closed), Wymondley (which has become independent) and Stondon (which continues to	grow). 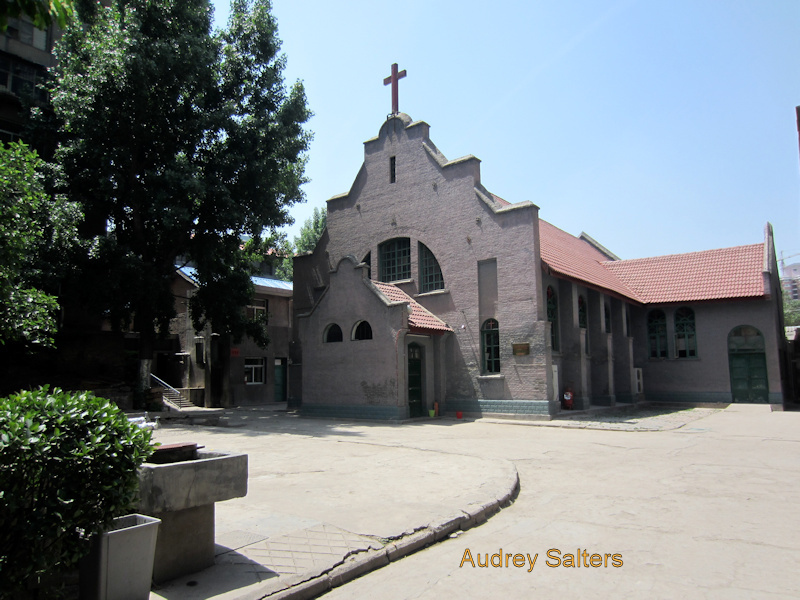 As a memorial to eight of our church members who died in World War II, as well as for the safe return of 77 others, the church raised £2,750	towards the rebuilding of the Outpatients' Wing of the Baptist Mission Hospital	at Xi'an, in Shaanxi province, China, where one of our members had previously served as a missionary. Some original buildings were still standing in 2015 - Picture. Interest in the wider mission of the Church at home and	overseas continues to be shown through the church's generous support of Home Mission and	BMS World Mission. 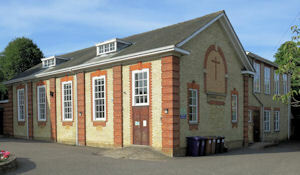 As well as its interest in worldwide mission, the church has always maintained a concern for the local community in Hitchin, which continues into the 21st Century. May God's work in the past be a constant inspiration in our work and	witness in the present as we look forward to the future and the new	opportunities that our Lord will give us to help us to share His love. "Jesus Christ is the same yesterday, today, and forever." (Hebrews	13:8). 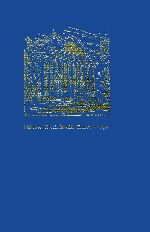 The Church's archive contains a number of publications that will be of interest to the historian or family researcher. Copies of some are available for download here. A slim volume with just 36 pages gives the story up to the end of the 19th century and includes reference to the internal changes to the building made in the 1890s. 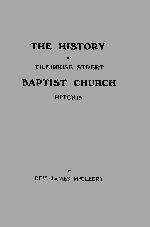 A longer more detailed study written in 1919 by the incumbent minister to celebrate the Church's 250th anniversary. 70 pages. A book telling the Church's history commissioned for the tercentenary in 1969. Author Gladys E. Evans researched in the Church's minute books and interviewed many of the Church stalwarts to compile this comprehesive volume. The title is, appropriately enough, taken from John Bunyan's famous hymn, Who would true valour see, quoted above. The book is now out of print but 2nd hand copies are often available on sites such as ABE books. 164 pages. 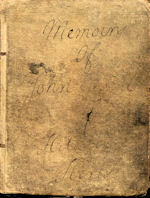 Our long-serving fourth minister, John Geard, wrote a journal of his life and times. A fascinating insight into the end of the 18th and start of the 19th century. This is a transcription of the hand-written journal. Not all the pages are present, but we don't know why. Maybe Mr Geard thought better of what he wrote and removed them himself, or did some mischievous person in the intervening period remove them for whatever reason?